After last year’s success the St. Joseph Band Club of Hal Ghaxaq will be presenting the Maltese Food & Wine Festival on the Friday 15th and Saturday 16th September from 7:00p.m. onwards. 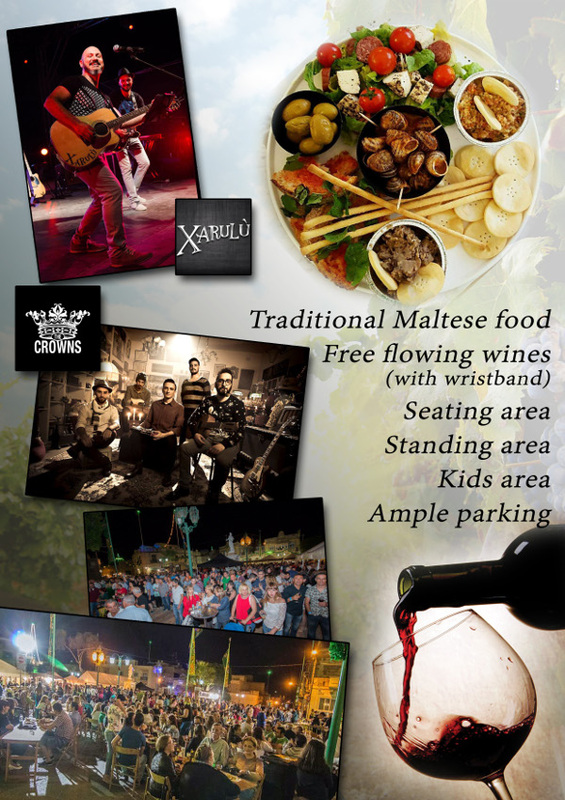 This Festival is going to be characterized by a wide selection of Maltese Food to choose from. Just to mention a few one can find horse meat, local pork, maltese home-made ravioli and the famous Maltese platter. The Maltese platter includes a selection of indigenous maltese products such as peppered goat’s cheese, Maltese sausages, snails, bigilla (brown bean dip), arjoli (a local dip served with snails), olives and our own hobz biz-zejt (maltese bread with tomatoe spread and other local ingredients). And for the sweet lover’s ice-cream with imqaret (deep fried cakes with date filling) will be served. There will be seating areas to better enjoy the food being presented. Ample parking will also be available. Apart from the good food a wide selection of wine will be available. Those who attend will be spoiled for choice as there is going to be a wide selection of fourteen different wines to choose from. All wines presented will be prodicts of Delicata Winery. This event will also feature a competition for wine producers and the wines presented during this competition will be judged by a team of professional judges. This event will be held at St. Rocco Square in Hal Ghaxaq which is only a few metres away from the parish church and the place offers a safe and spacious environment for all the family. A number of local performers will showcase their talent during the night. 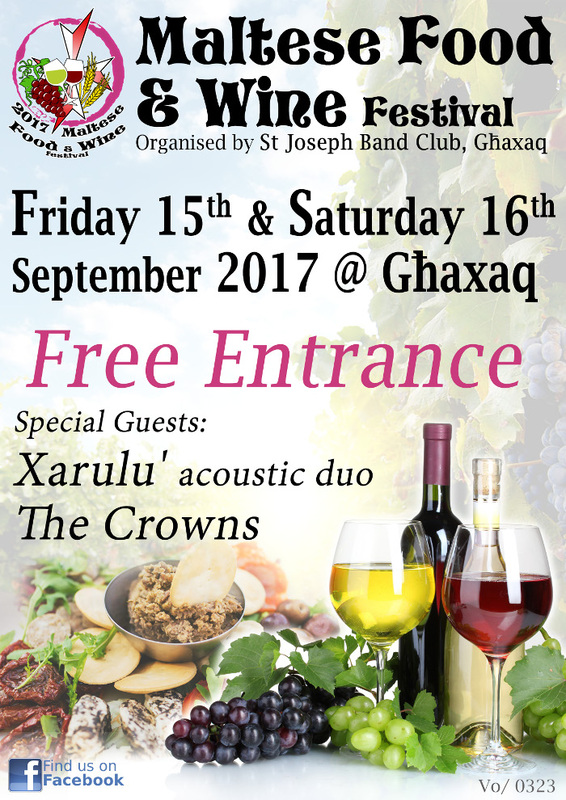 Apart from groups performing local folklore acts, the band The Crowns and the Xarulu acoustic duo will entertain the crowds during the night. This event is being supported by the Arts Council and LESA. To keep abreast with the latest information about the event, visit our Facebook page Maltese Food & Wine Festival.